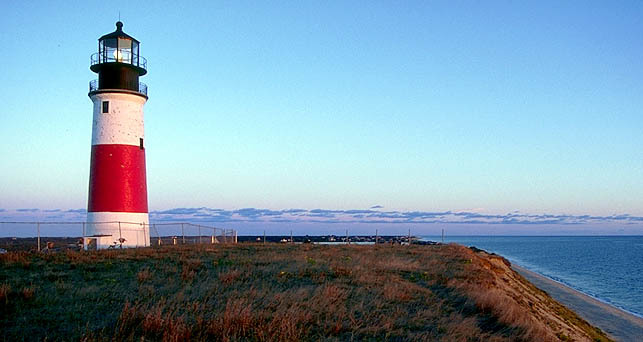 Sankaty Head is another threatened Cape Cod lighthouse, with its seaward facing cliffs steadily succumbing to erosion. 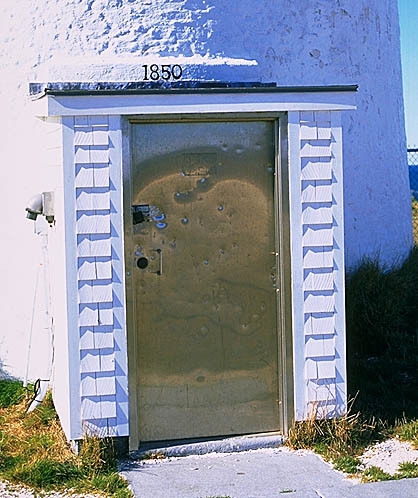 It's ironic, since the 70 foot Sankaty Head tower was solidly built in 1850 and has required little care since then. 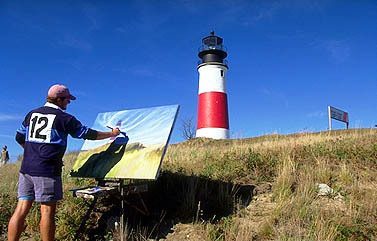 Sankaty Head was originally fitted with a second-order lens, which was replaced in 1987 with a revolving airport beacon. The original lens was moved to the Nantucket Whaling Museum. This powerful beacon can be seen 28 miles out to sea from the tower's perch 158 feet above sea level. 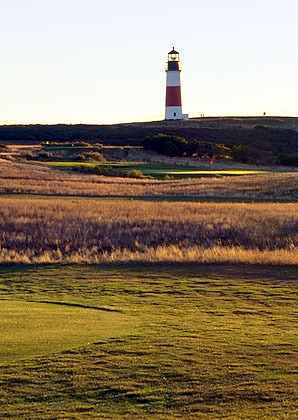 Sankaty Head sits adjacent to a golf course a mile north of the village of Siasconset (pronounced locally "Sconset"). As with Gay Head over on Martha's Vinyard, the keeper's quarters and other outbuildings are long gone, only the tower remains. Sankaty is easily accessible by taking the Nantucket shuttle to Siasconset, and getting off just south of the golf course.